Ms Coutts says the initiative is very worthwhile to attract young, progressive university students into horticulture. More than 50 leading interns will b e placed in horticultural businesses over the next five years to strengthen the industry and provide the next generation of employees. “Our company’s managing director is a Nuffield Scholar and travelling overseas he saw the same thing again and again - an ageing industry that needs innovation and technology to supply a global population,” Ms Coutts said. NSW Parliament House last night with the Australian Garden Council’s winners of BBM Youth Support Travel Awards to the UK. 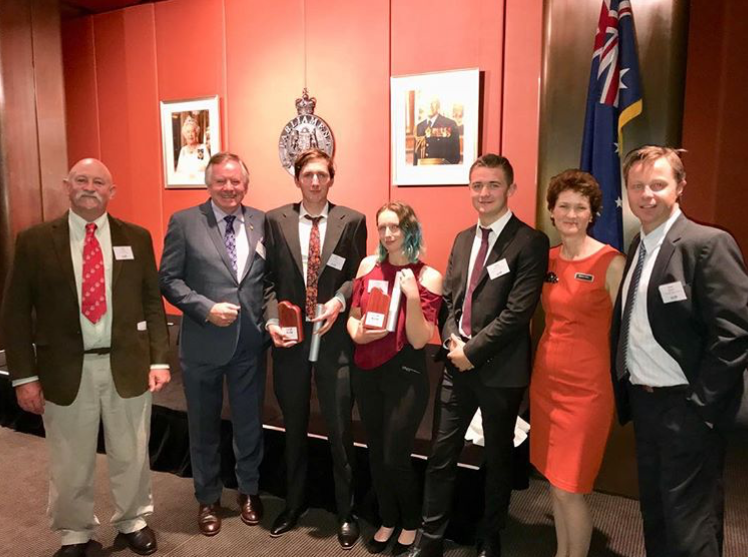 Pictured below is Peter Thorbon- IGC, Graham Ross- AGC, Joel Smith and Jess Smith 2017-18 awardees of travel scholarships, Jack Hutchinson 2016-17 winner nominated by AGC, Melanie Stray, CEO BBM Awards & Young Horts and the AGC. Independent Garden Centres joining forces with BBM and AGC to benefit youth in horticulture. Perhaps you could be a winner next year? 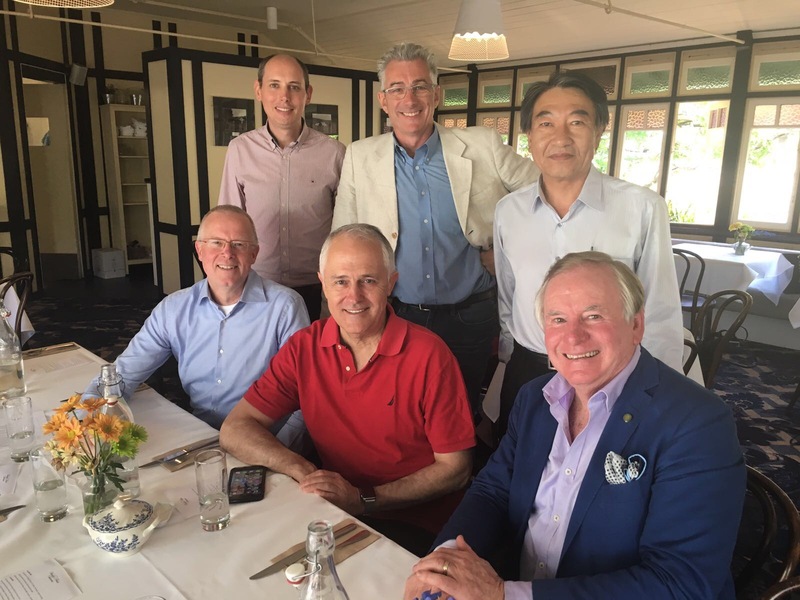 Pictured above- lunch at Vaucluse House: Front- Bernard Oosterom- President AIPH, Hon Malcolm Turnbull MP, Graham Ross- Chair AGC. Rear- Tim Briercliffe- Secretary General AIPH, Steven Haggart- Founder & MD Australis 2020, Kevin Chung- Chair AIPH International Marketing Committee.